Are Your Kids Sure That God Exists? 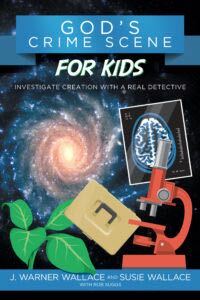 In God’s Crime Scene for Kids, real-life Cold-Case Detective J. Warner Wallace shows kids ages 8-12 how to become good investigators as they solve Jason’s mystery and examine evidence in the universe. 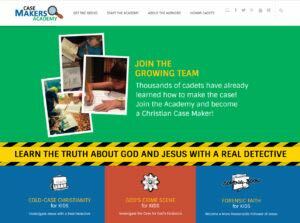 Readers will learn how to become good detectives and make their own case for God’s existence. God’s Crime Scene for Kids includes author illustrations, and is supported by an interactive website that allows kids to download chapter activities and “case note” fill-in sheets. When these are successfully completed and assembled in an “Academy Notebook,” readers will be qualified to earn a Special Investigations “Certificate of Merit.” Plus, God’s Crime Scene for Kids follows the same chapter sequence as Wallace’s adult book, God’s Crime Scene, so parents and children can discuss and explore the evidence together, chapter by chapter. Dr. Jeff Zweerink, Astrophysicist, Scholar at Reasons to Believe, and author of Is There Life Out There?